Evangelical mysticism is a modern-day form of Protestant mysticism. It is influenced by all of the theological developments of Evangelicalism in the 20th century. 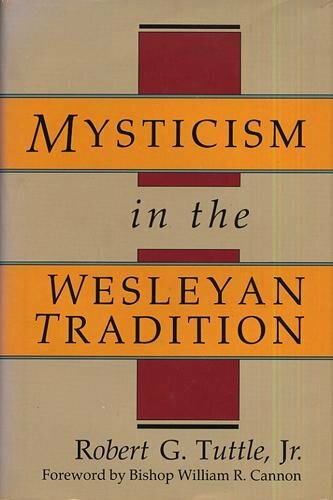 But if we are to fully understand where Evangelical mysticism comes from, then we need to know about the entire history of Protestant mysticism since the Reformation. I hope to study this 500 year history sooner rather than later. Discernment against Gnostic and New Age influences needs to be applied to figures such as Jacob Boehme and Emanuel Swedenborg. Here are some books on this topic. Doles, Jeff. Miracles & Manifestations of the Holy Spirit in the History of the Church. Walking Barefoot, 2008. Dorner, Isaak. History of Protestant Theology. T. & T. Clark, 1871. vol. 2, p. 178ff. ——-. History of the Development of the Doctrine of the Person of Christ. vol. 4, Chapter II. Galli, Mark. 131 Christians Everyone Should Know, 2000. Fanning, Steven. Mystics of the Christian Tradition. Routledge, 2001. Part V.
Fremantle, Anne. The Protestant Mystics. Little, Brown & Co., 1964. –Figures (Charismatic/mystical revival leaders) that this article says have influenced Protestant mysticism: Thomas Muntzer (d. 1525; prophetic Anabaptist), Hans Denck (d. 1527; prophetic Anabaptist), Johann Bunderlin, Christian Entfelder, Sebastian Franck (d. 1543; Boehme influence? ), Caspar Schwenckfeld (d. 1561), (Jacob Boehme–major heretic), (William Law–Boehme influence? ; heretical? ), etc. The following mystical revival leaders are known for teaching Evangelical mysticism, practicing contemplation, and experiencing prophetic revelations. Hyatt, Eddie. 2000 Years of Charismatic Christianity. Jones, Rufus. Spiritual Reformers in the 16th and 17th Centuries. London: Macmillan, 1914. (Surveys early Protestant mystics; warning–New Age perspective). Pourrat, Pierre. Christian Spirituality. Newman Press, 1955. vol. 3, Chapter IV. Riggs, John. Postmodern Christianity. Trinity Press, 2003. pp. 54-55. (note–I’m not a New Ager or postmodern Christian, but this book has a short write up on Protestant mysticism). Turner, William. History of Philosophy. Ginn & Company, 1903. Chapter LII. Underhill, Evelyn. Mystics of the Church. Chapter XI. (warning–New Age Christian author). Wulf, Maurice. History of Medieval Philosophy. Benziger Brothers, p. 31ff. I also recommend that you read “The Life of Saint Teresa of Avila,” which was her autobiography. Penguin Classics has a readable translation in paperback. The first and very important thing you’ll learn from genuine mystics (such as Teresa of Avila) is that they never thought of themselves as being “mystics.” Their primary concern was loving the Holy Trinity. Also, given the subject matter you’re interested in, I’m surprised you haven’t already ended up on the target list for the ODMs (“online discernment ministries”). “Into the Region of Awe: Mysticism in C. S. Lewis ” by David Downing. Also in “The Life of A. B. Simpson” by Thompson, there are several chapters which refer to Simpson’s mysticism. A dissertation by Clyde McLean Glass entitled “Mysticism and contemplation in the life and teaching of Albert Benjamin Simpson” covers the topic more fully. Ambrose” It is a free download and authored by Tom Schwanda. Just google his name and Isaac Ambrose. It’s a great read! And free, at that.